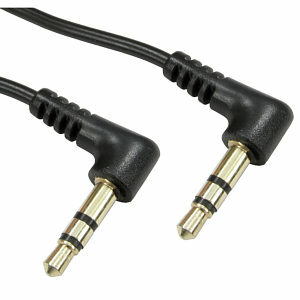 1m Angled 3.5mm Stereo Jack to Jack Audio Cable. Profigold by Bandridge PGV783 high quality 3m flat cable scart lead. Enjoy crisp colourful pictures and high fidelity sound with this top notch interconnect and at an everyday price. 24k Gold Plated contacts ensures optimum signal transfer. 99.96% OFC conductor for high resolution picture quality. IAT interference absorbers for unmatched picture performance. What Video & TV best buy (May 2000 for 1.5m version). 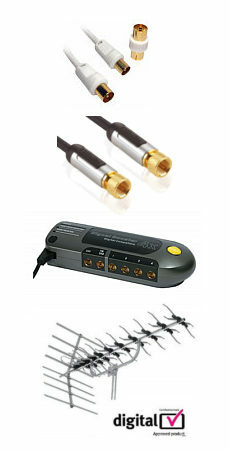 Lifetime replacement warranty against design, construction, material &manufacturing defects Perfect for audio and video connections between TV & DVD, VCR, Satellite receiver, Digibox etc. A 4 pole 3.5mm to 3x phono cable for stereo audio and video. I deal for use with camcorders.